This is the Entire list of Error codes for the Navien tankless water heater. These troubleshooting tips are for models 180, 210, 240, 180A, 210A, 240A, NPE-A, NPE-S.
New — Replacement Parts Available Here! To trouble shoot the systems yourself try our interactive guide. We provide sales, support, and maintenance on all Navien Tankless systems throughout Southern Ontario. If you have any further questions send an email or post in the comments section and we will try to answer all inquiries. There will be error codes on both the remote control and on the computer board on the main unit. To reset a Navien tankless water heater either unplug the unit and wait a minute to plug it back in again, or press the power button on the remote control off and then back on again. 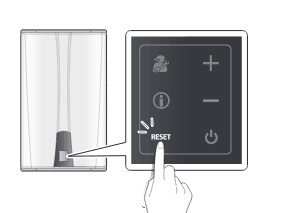 If you have a NPE-A or NPE-S simply press the reset button on the front panel of your tankless to reset your system. What type of battery does the NR-10DU remote controller use for my Navien Tankless Water Heater? does thr NR-10DU remote take a battery and if so what type does the remote use, I don’t see any listed in the manuual? I am at work and need to pick up a battery this afternoon. NR-210[A] model that I have had for aprox 9 years. Constantly or monthly shuts off with code of 48.7. Had numerous plumbers look at situation, changed regulators at both locations. upped pressure, plumbing correct with 3/4 “black iron pipe. Suggestion going to 1 gas line????? Looking for any suggestions to resolve this problem, tired of taking a cold shower. Help!!! JANUARY 24, 2019 Replaced boiler last year 2017, nothing but problems: 1- code E-110 but all filters are clean, 6 times can not leave home for a day. This is CANADA -17 centigrade outside; 2- heat can not keep up, thermostat set at 73 degrees F, but drops to 64 sometimes. Called Navien numerous times NO SOLUTION except ‘call your contractor’ and he hangs up on me, unit still under warranty , yea, thanks NAVIEN. Model 240A showing code 010E —-2700. Abnormal air pressure. Unit will run approx 30 min then shut down showing this code. Intake and exhaust pipe clear. Any suggestions ?? Hello I have a Navien wall hung propane hot water heater installed in 2005 from the day it was put in never worked right. I have had my installer come numerous times to work on it and its never ben right. Last year unit died no lights at all no power my installer had to put in new mother board and day after that was installed it still had error codes. I called company Navien saying I had a lemon and I wanted them to make good on a new unit and they refused. Now heater turns on and off have to reboot 3 times during the night no heat. still owe my one repairs guy $200 for motherboard work. Now codes showing up E-35 and E 48 off and on and when I reboot first code up U- 23 not even in code book??? I’m scared I could have an explosion from abnormal gas pressure am I at risk of that??? Can you help me in anyway as what direction I should go?? Do I contact my fuel company to ch gas tank or the installer once again to ck unit I can’t keep going through this I think I need to just buy a new until and not NAVIEN please get back to me. I’m sick of not having heat or hot water I’ve spend to much on this unit and still no results.I’m shared that the unit could blow abnormal pressure??? I see a lot of unanswered posts here…..
How do I find someone in my area who works on these water heaters? I have a Navien T creator combo. and recently the water temperature does not stay consistent. It goes from warm to cool back to warm then to cool. When the heat is on it seems to have to work real hard to keep the desired temperature. Gettin a E 004 error code. is it the igniter??? Have a error oo3 on my tankless heater how do I fix this. My NR 240 Is not starting up when qued. Flashes 2lb and red light flashes. I have a Navien CR-240A that was installed in 2008. I am getting a lot of water dripping from the bottom of the unit. I have taken several looks at the tubing inside and can find no leaks. I had a plumber check the unit and he said it was normal condensation. I do feel a lot of condensation at the top and bottom of the water tank. I do not recall seeing this much water dripping out of the unit in previous years. I am getting 3 to 4 ounces of liquid dripping from the outside of the unit each day. This does not seem right. I have a code E003. How should I fix this or does it need to be serviced by a technician?? I have had a Navien Tankless for six months much of it during bitterly cold weather and it has worked fine. On two occasions it shut down and had to be reset after which it started right up. The code was A110, there is no obstruction & the filter is clean. I think that on both occasions there were high winds that blew at the intake and made it read obstruction. I am going to put a small guard without blocking the intake & see if that does it. Anybody else have this problem. 210 troubles. again and again. No error codes this time. if I unplug the unit and power it back on the display reads U1.13 08.06 then after a few seconds reads 120. Flow water and nothing, it does not even attempt to start up, no ignition….just lets water pass through. I have a navien npe-240a with error code E110 flashing. I know it means exhaust blockage, but I cleaned the partically clean screen, there is no blockage on the exhaust vent and even pulled the u clip plug at the bottom (like navien technical support suggested) still it doesn’t work. I’ve had this thing for 13 MONTHS!!! and this is the 4th time it has stopped working!!! HEEEELLLLLPPPPP!!!!!! I have a Navien that is not working. There is a flashing red light on the display and the display is displaying error message 038. After looking up the error message I am to check a number of item: 1. Check the circulation PUMP. 2. Check the water flow sensor and 3. Check the cold water main. How would I go about doing this? Hi, I have a Navien unit , i have an error message 010E, Is this a cleaning problem? and how do i go about cleaning? Thanks in advance. I have a Navien CR-180 and I just replaced the water flow sensor about two weeks ago and everything was fine until today, where the internal breaker keeps popping now… any suggestions on this? getting error code E001 which is water boiling in heat exchanger. Possible fixes – clean inlet water straining; check auto flow; check heat exchanger, remove and clean with solution. Also making chugging thumping sound after I shut the hot water off, Also water constantly running down the internal drain. Could that be from the heat exchanger? One thing I do know is because we have no Navien Techs where I am I have to tear this menopausal cow apart (again) so my family and I can have hot water. I have a Navien CH240. My house wouldn’t go above 65 degrees when it got real cold (-10) The boiler wouldn’t heat over 160 degrees. Come to find out the wrong board was istalled from the factory. The navien has a E03 message displaying. The message came up about a month before it happen again. The repair person came back and replaced the same part and a new one and it still not working. It’s something with the spark. It turns on like it will work and they it shuts off. Please send troubleshooting steps since the part was replaced and the last time it work. Hi Danny, It can be a bit tricky, it’s probably best to call in a professional. Depending on age you may want to think of getting a flush and service of your Navien NCB. I’m currently getting error code E110 – Exhaust Blockage – on my NCB system. The chart above says to check the exhuast pipe and air filter. Is this something I check out on my own or do I need to call a professional? I Have a Navien CR-240(A), serial #9010-20080917-1071. I have error code E33 constantly (inlet thermistor – short). I have tried two new Navien correct thermistors and still get the same error code (E33) which would indicate to me that the problem is not with the thermistor, but maybe the circuit board (KDC-321-5M v1.04A), would this be a correct assumption? (unit installed March 2009). After cleaning out all the filters, I started getting an E10 error code on restart. A technician I talked to over the phone was kind enough to suggest a full white vinegar flush before he would come to see the unit. After running the flush for a good 60 mins, I restarted and we were good to go. A big thank you to Barry. I would contact your installer, The NCB 240 is the same system I use to heat my house and it works great. Is the system set to provide hot enough water? There are a lot of variable here and I really don’t have much information make any type of firm suggestions. just installed the navien ncb 240, it replaced an old old boiler. I reused all the same tube and fin. Now the navien won’t heat the house warmer then 62 degrees. Our Navien hot water heater/boiler continues to have an Error Code of E002, which is not included in the chart above. For some reason this seems to happen more often when it is very windy outside. Sometimes it will clear & start working again after we unplug it,sometimes not and sometimes after a few minutes or hours it will just up by itself without unplugging. Any advice/tips would be greatly appreciated. I have a navien NR-240 NG with error code 03 e and underneath it has 002 which is not an explained error code in the chart above. What does it mean? The heater runs for a minute or 2 and then stops with red light flashing this error code. Please advise. Hello there I have a navien C180 model ,when you turn the hot water on I have no presure and no hot water ,and no code comes up can any one help me out!!! The GFI is switching off, and system must be re set. Why would this be happing? I purchased a home with an existing Navien tankless and still some time left on the contract. What we are seeing is error codes 03, and error code 002 almost daily. any idea what that means? Is it new injector, motherboards or some other problem. I have to unplug and replug to get hot water nearly daily = hassle. 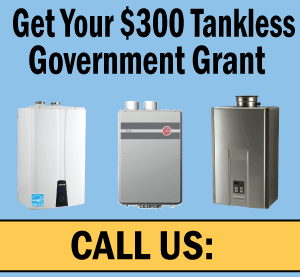 I have had a tankless water heater for just over a year. For the last several months the water would go cold and only way to fix was unplug, but there was no error code. Tonight, my wife was taking a shower so i went down to reset and there was an error code 022 on the remote. Any help on this would be greatly appreciated. For the amount of money i paid for this appliance, i was hoping to get more than just a year before having problems…. If you would like to try calling one of our technicians they may have a few ideas that could rectifiy your problem over the phone (647) 925 1930. If that doesn’t work your best bet is to book service for your Navien E022 error. My Navien gas water heater is reading code E022 on the remote. I have unplugged and pluged several times. The remote will read ok after plugging back but as soon as I start the tap it goes back to code E022. What Do I have to do to correct the problem? Our navien always always goes full ice cold mid shower. It’s humming loudly downstairs and blinking on the remote. Only way to fix is to unplug and then it will work for awhile again. Second time in 2 years we’ve had issues with this…not sure what to do. Suggestions? Give us a call at the office 647 925 1930, we have few things we can try over the phone before sending a tankless technican out to your home. My Navien 210A that was recently serviced for a leak and for correcting gas inlet from 1/2 to 3/4 inch, is not again defective. Water temperature is mostly luke warm but at times it does reach a good heat. When I switch it off from the little switch inside the unit and then on, it gives code U1.51 followed by 09.05 and then the temperature display of 120F. I hope there is a simple solution and I won;t have to call a technician and be set back $175 to $200 to get his service. I am having this same problem? Did you get an answer on what to do??? Our Navien 210 is giving us an error code E10. We have checked the pipe for obstructions and cleaned the filter -works for a bit then gives us the error again -each time it quits we check the pipe and the filter and there’s nothing there. If we unplug it and leave it for a bit it works again for very short time. Could the sensor be screwed?? Suggestions?? We are getting very frustrated and thinking of going back to a traditional gas heater. I have a navien with error code 03 e and underneath it has 002 which is not an explained error code in the chart above. What does it mean? The heater runs for a minute or 2 and then stops with red light flashing this error code. Please advise. Have you tried turning both the bathtub and facet on to full hot? installed a Nr 180 natural gas today dec.16/2011 turn on hot water tap and the unit will not fire .what is going on?Open the relief valve and the unit fires. What is going on? I have been having a problem with my Navien NR-240A. The fault code displayed is 27 which is abnormal activity of the air pressure sensor. I have rebooted the unit several times and the final time I got it working again. I had to kill the breaker to it, and leave it off for a few minutes, then reflash it. Eventually I got it running. This might work for anyone out there with a similar problem. I have had my Navian R-210-A for about 9 Months. I use propane and constantly get the R048 abnormal gas pressure error code. This thing has crapped out at least 20 times since we had it installed. The tech who installed it has come out numerous times and replaced the regulators and taken pressure readings. All is fine but it continues to crap out. I called the Navian tech number and talked to someone who showed little interest in getting to the bottom of this. He just says get the tech out there again and call tech support with the pressure readings. I am sorry I ever purchased this thing. I have propane which is very expensive and thought this would save money. We love it when it’s working and hate it when the water goes cold half way into a shower. I am a plumber with over 20yrs residential experience and if I ever want to be be-littled, talk to like I’m a fool, or get treated like an absolute retard, I give the Navien tech department a call. They are the most condescending bunch of pricks I’ve ever dealt with. We’ve installed in the neighborhood of 20-30 units dating back to oct/08 (cr’s, nr’s, 180’s, 210’s, 240’s, etc), and had a call back rate of 100%. And believe me when I tell you, every manufacturers installation instruction was followed EXACTLY and every installation was in a newly constructed home. I’ve had to replace heat exchangers, grey elbows, gas valves, pressure switches, circ pumps, gas valves, flow switches, flow sensors, complete units, I could go on but I need more space. We even had one where it fired fine with one faucet open, open another faucet and the unit would switch off, but gas would continue to flow. Then it would attempt to light again followed by a serious of mini-explosions (WTF?!!!). I phoned the tech line, and after waiting on the phone (you are the….10th….caller in the que) about 1.5 hrs, they proceed to tell me “you most likely installed it wrong”. Now when a customer inquires about a tankless heater, I do my best to talk them OUT of one and into a high efficient tank-type. My advice is GET RID OF THE UNIT NOW!! YOUR PROBLEMS ARE JUST BEGINNING!! Trying to print off Error codes only allows you to print to Error Code # E009. Required for Technicians. After reading the questions and answers above, I was a little shocked to find that someone else is having the “Gas” smell out side of their house from the Tankless waterheater. We had the original salesman back to check this and after two or three times of coming and going could NOT find out why this was happening? He then said there was nothing he could do and has not returned since although he did say he would look into it further. We have now had this problem for coming on three years and no sloution. Natural gas IS too expensive to waste but what can we do from here on?? Our other problem at this moment is the 38e message we are getting weith the red light, but again after reading the above, we will try the suggestions to see if it can be rectified. We have heard a lot of horror stories about the Navien since buying ours and hope that we haven;t made a huge error in purchasing it. it ended up being the pressure switch for air. this is located at top on right side. the one with one yellow circular sticker. the one with two is on the bottom and is the gas one. Why do you ask a online marketing company, call Navien directly and ask them, thats what their tech dept is for. It needs to be serviced by a Navien tech to clear the system. Sometimes unplugging the system will get rid of this error but it will likely pop up again in the near future. 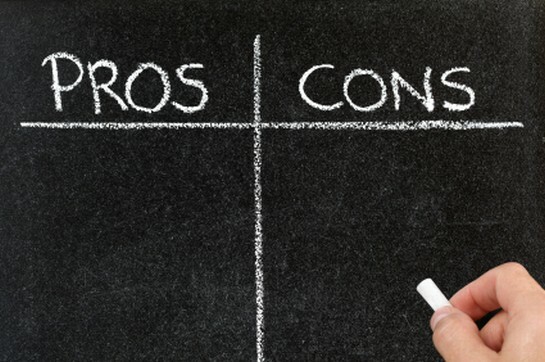 There is a lot of unknowns here… is it a tankless or conventional tank? is it old or new? I would have the company that installed your unit come out and take a look. Natural Gas too expensive to just be venting outside!! I have a Navien R210 than is not working. There is a flashing red light on the display and what I believe is an error message 038. After looking up the error message I am to check a number of item: 1. Check the circulation PUMP. 2. Check the water flow sensor and 3. Check the cold water main. How would I go about doing this? I would look at getting a service technician in if you are not comfortable with disassembling your Navien tankless water heater. 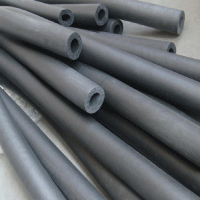 The issue could be a number of things, pump jammed or foreign material blocking it.. etc etc. I am getting an error code e21. Troubleshooting guide says to check thermistor/replace thermistor. How do I check it? This is a new install. We had hot water for a few days, but it just stopped working. Any suggestions?